If you have been involved in an auto accident and are suffering from back, neck, or spine pain, the chiropractic pain treatment offices of Dr. Keren Gomez can assist you with not only holistic pain relief, but also with your personal injury claim. As a busy accident injury chiropractic treatment clinic, we know very well which personal injury and automobile accident attorneys will be able to provide you with the best support and representation you’ll need to get through the chaotic time following an automobile accident and injury. If you’ve been involved in an auto accident, and have sustained an injury, as a reputable chiropractic practitioner, we recommend calling us as soon as you can to be seen by our board certified chiropractor. When you visit Dr. Keren Gomez in one of our chiropractic offices in Broward, Dade, or Palm Beach, we will spend all the time that is necessary to perform a complete exam in order to properly diagnose your injuries. With your diagnosis, we will be able to effectively propose an individualized chiropractic treatment plan that follows our holistic approach to healing and wellness. You will soon be well on the road to recovery as we use minor spinal adjustments to relieve pain that was caused by your accident injuries. As an active office, the team at Dr. Keren Gomez Pain Clinic see many patients who have been injured in automobile accidents in Florida. We are very familiar with the difficulties that can ensue after being involved in an auto accident, and we are sympathetic and understanding when injured accident patients arrive at our office with a great burden on their shoulders. Many patients aren’t sure where to begin when it comes to managing insurance claims and medical care after an auto accident. At the offices of Dr. Keren Gomez, we assure our patients that they can depend on us as a reliable resource in regard to moving forward through an accident and recovery. 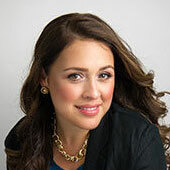 After working with so many patients who have been injured in auto accidents, Dr. Keren Gomez is proud of the professional connections she has made in the South Florida region. Our patients benefit not only from her competent care and pain relief treatment, but they also can know they are in good hands with her recommendations of legal counsel in Broward, Miami, West Palm Beach, and Orlando for accident victims. It's not uncommon for chiropractors to work hand in hand with auto accident lawyers, and likewise, most auto accident lawyers will readily recommend a reputable chiropractor for treatment after an auto accident. 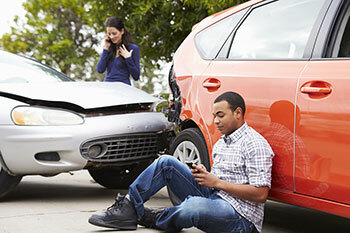 Once you’re connected to a reputable accident attorney, you will be adequately armed when it comes to dealing with your insurance company. Accident attorneys are skilled and experienced with accident claims, and will ensure that your insurance claims are handled professionally and efficiently for quick results. Lost wages, medical bills, pain and suffering, auto replacement and repair are hefty topics that are best left to the legal professionals. To schedule an appointment with the Miami, Broward, Palm Beach, or Dade chiropractic offices of Dr Gomez, call us at 305-761-6528.